Why would I even write something like the title to this post? There is a part of me which simply loves Lord of the Rings, another part loves science and, yes, the sober approach to things that comes with it. 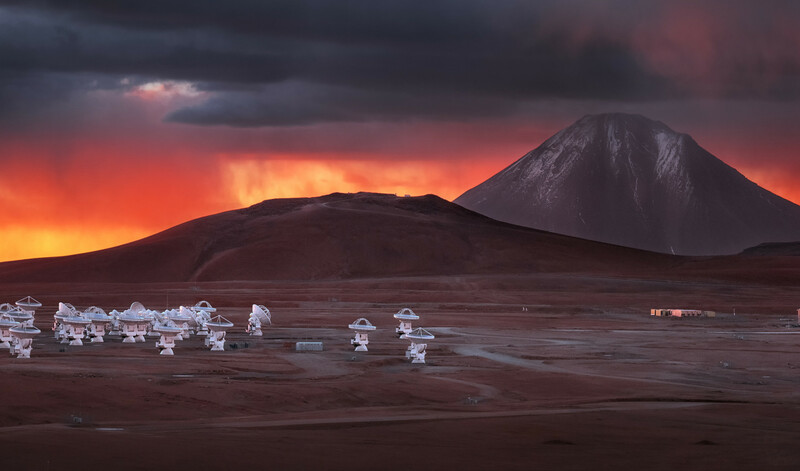 This is a part of the ALMA observatory there in the foreground. It is run by the European Southern Observatory in the Atacama desert in Chile. I couldn’t fit the whole image here, so check it out at the source below. You won’t be disappointed. That’s the reality of it. I shouldn’t have cut off half of the antenna park. The scientist in me requires this to be a stupid idea.